...We had a good run. 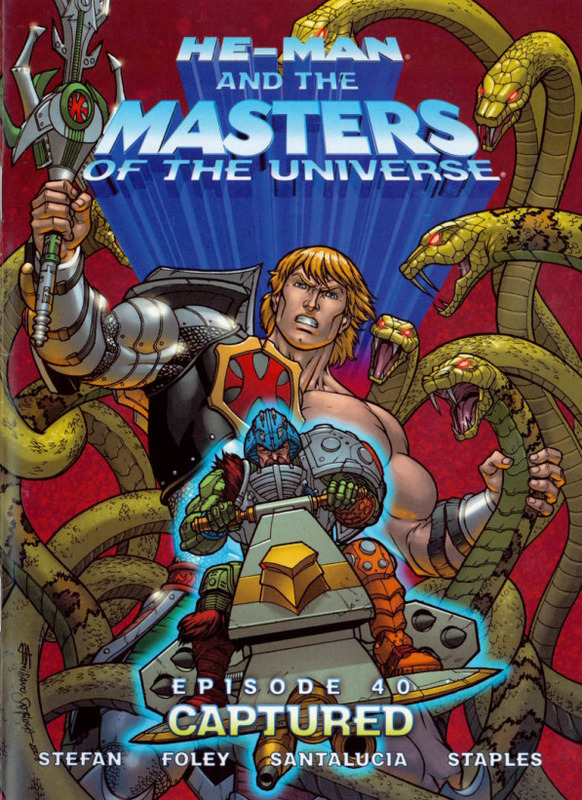 The 2008 mini-comic He-Man and the Masters of the Universe: Episode 40 is based on Dean Stefan’s screenplay for episode 40 of the cartoon, “Captured,” which was unproduced. 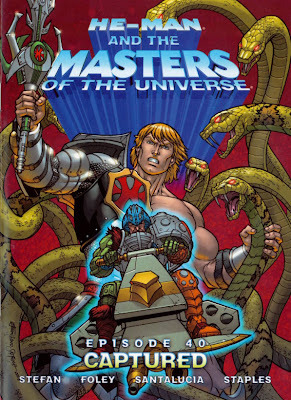 This comic was adapted by Ryan Foley and illustrated by Emiliano Santalucia, and was originally included in the exclusive Best Buy edition of the Volume 3 DVD. Here, Skeletor reclaims Snake Mountain and attempts to break King Hsss out of Man-At-Arms’ new prison. Season two’s three-faction action continues, but this story turns on some obviously poor decisions by prominent characters. Skeletor’s plan is half-baked and not particularly intelligent. And Man-At-Arms going off by himself is foolishness unworthy of the character. Santalucia, the definitive comic artist for the 200X series, turns in one last quality MOTU job, even if all the good guys are wearing their silly Snake Men variants. Foolishness aside, it’s a decent enough story, and frankly, it’s just nice to see one last glimpse of the too-short-lived cartoon. The Book Review looked at books from an eclectic range of genres, trying to hit the highs and lows of each to help you answer two questions: "What is this book about?" and "Do I want to read it?" All reviews copyright The Reviewer. All rights reserved. Simple theme. Powered by Blogger.